The aim of The Amorevore Symposium is to uncover critical food issues and recognise innovative solution based initiatives. There will be solo talks, conversations, panel discussions, and debates based around a proposed motion that all visitors can join in with. The Symposium will be held from Friday to Sunday, 26-28th October from 10am to 7pm and is free to all ticket holders. A wellbeing expert, Jasmine Hemsley has inspired a global audience to shift their perspectives on food and lifestyle as a founder of Hemsley + Hemsley. With a passion for home-cooked food and natural remedies, she has captured the attention of a vast global audience, and uses her platform as an author and influencer to encourage a return to a simpler, more mindful everyday life. Jasmine’s latest concept is East by West, an idea that came to life as a pop-up café within the Maiyet Concept Store between October and December 2016. Inspired by her travels in Sri Lanka and India, East by West realises Jasmine’s vision of Ayurvedic cuisine and wisdom. Following a successful three month pop-up at Maiyet, the East by Westcookbook launched in November 2017, delving further into Jasmine’s passion for holistic Eastern foods and therapies. Growing up in the border town of Tijuana, Mexico, Jair Tellez was raised in a melting pot of combined American and Mexican influences. In 1999 he bought a piece of land in Valle de Guadalupe and Laja was born. Jair began his professional training at the French Culinary Institute, which led to an apprenticeship at Daniel, where he stayed and worked for one year. He returned to México from New York and began working on opening MeroToro in 2008. 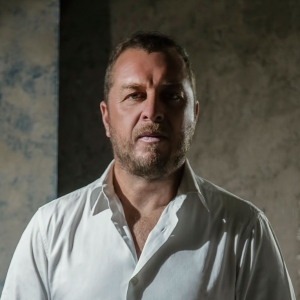 In 2016 he opens his second restaurant in Mexico City, Amaya, which has a focus on natural wine and El Zorro Plateado in Playa del Carmen, with a focus on wood fire cooking. In 2017 he opened Fayuca in Vancouver, which is Mexican inspired with a focus on a free flow of ideas and flavours along the Pacific Coast. Laja was recently awarded 42nd place on the San Pellegrino World’s 50 Best Restaurants from Latin America. 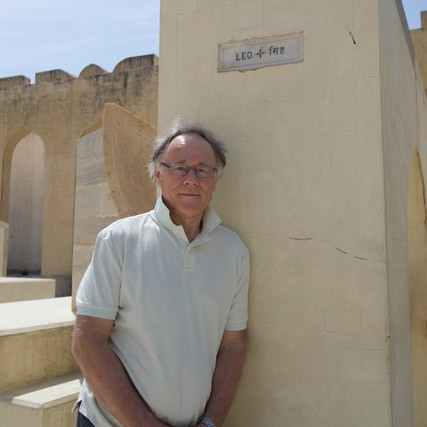 Graham Hancock is the author of the major international non-fiction bestsellers The Sign and the Seal, Fingerprints of the Gods, The Message of the Sphinx, Heaven’s Mirror, Underworld and Supernatural, and of the epic adventure novels Entangled and War God. His books have sold more than seven million copies worldwide and have been translated into thirty languages. He has become recognised as an unconventional thinker who raises resonant questions about humanity’s past and about our present predicament. 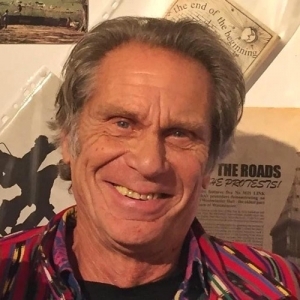 In February 2015 Hancock was voted No 30 in the Watkins list of “The 100 Most Spiritually Influential Living People”. 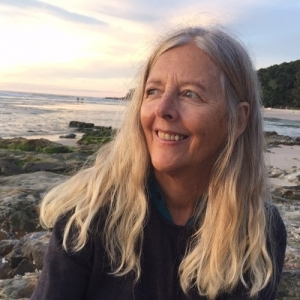 Helena Norberg-Hodge is a pioneer of the new economy movement and recipient of the Alternative Nobel prize, the Goi Peace Prize and the Arthur Morgan Award. She is author of the inspirational classic Ancient Futures and producer of the award-winning documentary The Economics of Happiness. Helena focuses on the relationship between the neo-liberal economy and food, including two books (From the Ground Up: Rethinking Industrial Agriculture and Bringing the Food Economy Home: Local Alternatives to Global Agribusiness), and a Local Food Toolkit, which won a prestigious UK award for investigative journalism. www.localfutures.org. Boris Buono, born in Copenhagen to a Danish mother and Italian father, developed his deep appreciation for quality food from a young age. Growing up in the Danish countryside, he spent every summer with his family sailing across the Scandinavian waters, fishing on the open sea and cooking the catch of the day, often accompanied by produce from their organic garden. Boris has worked in the most forward thinking establishments of the nordic movement, before shaping his own universe in Ibiza. Zoe Adjonyoh is on a mission to bring African food to the masses. 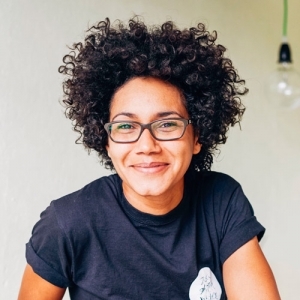 Described by The Observer as a “standard bearer for West African food” and picked up by Nigel Slater as one to watch on the topic of immigration food in Britain, Zoe has been making waves in the food scene ever since her first sell-out successful supperclubs in 2011 at her home in Hackney Wick. Named as one of “London’s hottest chefs” by Time Out, Zoe launched her first fixed restaurant space in 2015, at shipping container community project Pop Brixton. Zoe’s stunning debut cookbook “Zoe’s Ghana Kitchen” is published by Octopus Books. Gill Meller is a chef, food writer, author, food stylist and cookery teacher. He has been part of the River Cottage team for 11 years, working closely with Hugh Fearnley-Whittingstall across the breadth of the business. Gill regularly teaches at Park farm, the home of River Cottage HQ, a small holding and cookery school producing many of its own ingredients in a simple and respectful way, following an organic model. 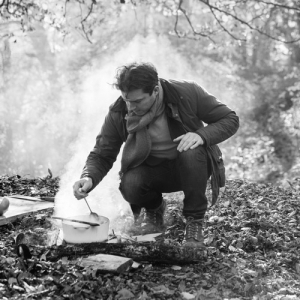 In 2017 Gill published his first book – Gather, which showcases 120 recipes inspired by the landscapes in which he lives and works – from seashore to woodland, orchard to garden, field to farm, moorland to harbour. Valentine Warner is a cook, food writer and broadcaster. His seven TV series and other appearances have spanned BBC2, UKTV, Nat Geo and Fox International. Valentine is known for a deep understanding of ingredients and an ability to make something delicious with seemingly very little. He has written four cookery books, three of which he illustrated – What to Eat Now, What to Eat Now More Please, The Good Table and What to Eat Next. He would generally prefer to be found in a field rather than an office and is most likely to be holding tongs, a fishing rod or a mossy stick. 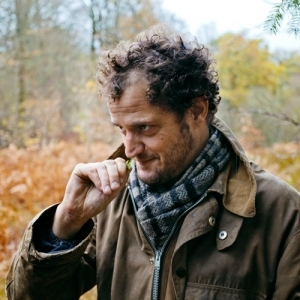 He is also the co-founder of the Moorland Spirit Company, producers of HEPPLE Gin. Craig Sams is a Nebraska farm boy. 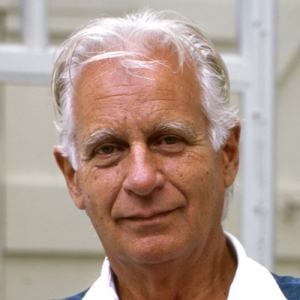 In 1967 he and his brother Gregory founded Whole Earth Foods, expanding from Seed, an organic macrobiotic restaurant into retail, wholesaling, manufacturing and publishing. Co-founded Green & Black’s Chocolate. Director of Duchy Originals, Soil Association Certification, Carbon Gold, Larry Smart Art. Author of: About Macrobiotics, The Little Food Book and The Story of Green & Black’s. Columnist in Natural Product News. Former Soil Association Treasurer and Chairman. 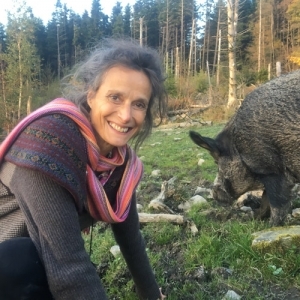 After Tracy Worcester’s feature film, Pig Business had been aired around the world in 21 languages, she founded and directs the campaign, Farms not Factories, to support the food sovereignty movement. She focuses on films for social media to show the true cost of cheap pork and urge viewers to use the power of their purse to close animal factories by only buying meat with a high welfare label. In May 2016, she launched a celebrity-led video, went undercover to expose illegal practices in the UK pig industry and recently launched a series of short films with top chefs. Nick Barnard co-founded Rude Health in London in 2005 with his wife Camilla. Rude Health is renowned for its innovative, delicious and nourishing foods and drinks, winning scores of awards for taste and ethical standards (including many Soil Association Organic Food Awards, numerous Great Taste awards and also being recognised in CoolBrand’s list of Britain’s trendiest brands). Nick is the inspiration behind the Rude Health rants, and is well known for his infectious enthusiasm for traditional foods and drinks. Nick is the author of more than fifteen non-fiction titles, including Eat Right. Kyle Books, January 2016. 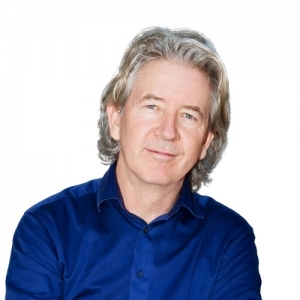 Patrick Holford, BSc, DipION, FBANT, NTCRP, is a leading spokesman on nutrition in the media, specialising in the field of mental health. He is the author of 37 books, translated into over 30 languages and selling millions of copies worldwide, including The Optimum Nutrition Bible, The Low GL-Diet Bible, Optimum Nutrition for the Mind and The 10 Secrets of 100% Healthy People, 10 Secrets of Healthy Ageing and Good Medicine. His educational website www.patrickholford.com attracts half a million visits a year. A self-confessed “gut enthusiast”, Eve Kalanick believes that maintaining good gut health is at the core of our health and wellbeing and published her first book BE GOOD TO YOUR GUT in September 2017. 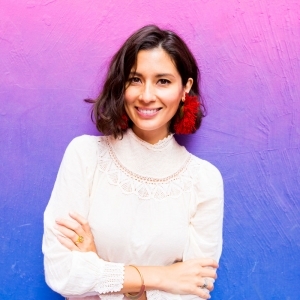 She writes a monthly REAL NUTRITION column in PSYCHOLOGIES magazine and is the resident FOOD GURU columnist for MATCHESFASHION.COM. 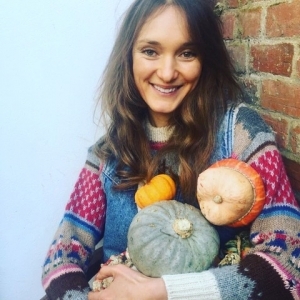 She is also one of the tutors for THE GUARDIAN masterclasses that aims to educate, debunk and demystify a lot of the rhetoric around healthy eating. Eve is a registered member of the British Association for Applied Nutrition and Nutritional Therapy (BANT) and the Complementary & Natural Healthcare Council (CNHC). 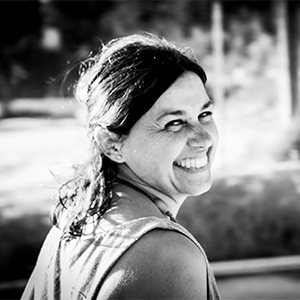 Sandra Benbeniste was coordinator of the Swiss foundation AVINA, oriented to supporting civil society environmental leadership. From 2004 to 2008 she was director of programmes at the Foundation for Ecology and Development, with leading projects in areas such as urban water efficiency, climate change, responsible consumption and CSR, both in Spain and Latin America. From 2009 to 2010 Sandra was hired as a consultant for Johnson and Johnson, to develop their CSR strategy and activities, building the necessary internal capacities for follow up. 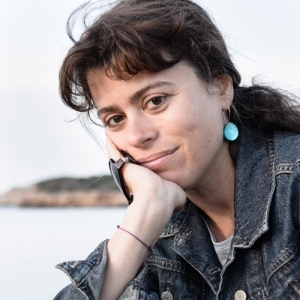 In 2011 Sandra moved to Ibiza where she is director of the Ibiza Preservation Fund, which aims to protect Ibiza and Formentera’s local environment. 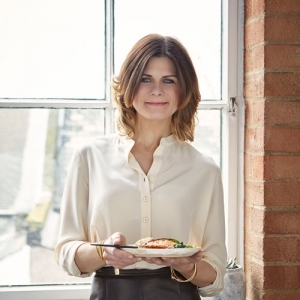 Carina Cooper is the author of four cookbooks including ‘The Notting Hill Cook book’ and ‘The After Work Cook’. 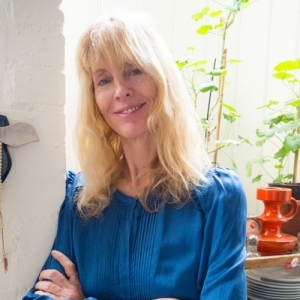 She wrote a daily recipe column for The London Evening Standard newspaper and a monthly column for Harper’s Bazaar and has contributed to Australian Vogue Living, Italian Elle, Red and The Saturday Times. 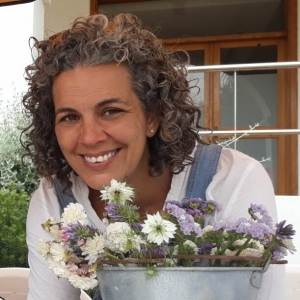 Carina has lived on many continents and had a small holding in Devon where she tended her bio-dynamic kitchen garden and learnt to forage in the hedgerows and fields. 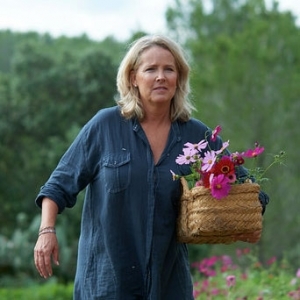 She now spends her time in Ibiza where she is managing her almond terraces, and is merging Biodynamic farming with permaculture. Gregory Sams is cultural change agent who cut his teeth introducing Britain to natural and organic foods in the ‘60’s & 70’s. In 1982 he launched the original VegeBurger, initiating a market for vegetarian food. Leaving food for fractals, he opened Strange Attractions in 1990, the world’s only shop dedicated to chaos theory, reproducing and licensing millions of fractal images worldwide. This led to his first book, The State Is Out Of Date, a look at how well we self-organize in freedom (republished 2014). His next book, Sun of gOd brings our local star in from the cold, exploring a Universe with both intelligence and design that needs no Intelligent Designer. 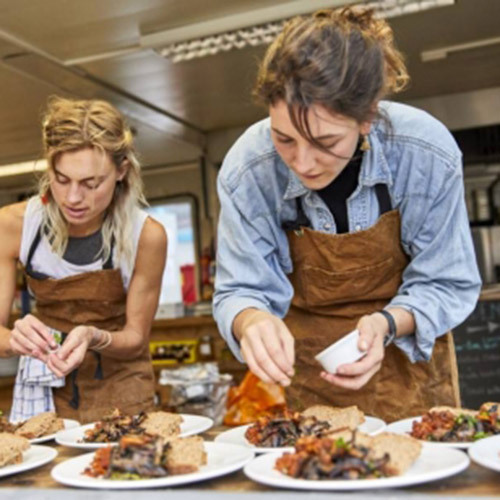 The Sustainable Food Story is a roving dining experience that travels around the world connecting citizens to the origins of our food through interactive dinners. Headed up by ex-lab meat scientist turned farmer/baker/botanical explorer Abi Aspen Glencross and forager/eco-chef Sadhbh Moore, they are a team of scientists, chefs, story tellers and farmers who believe that we can go so much further than farm-to-fork. They grow their own produce and create close relationships with their producers; utilize surplus and underutilized goods; forage in our edible world, and demystify and discuss food and farming issues through stories. Anna Greenland is at the heart of the organic growing movement. For over a decade, she has followed her passion, growing the highest quality organic food for star chefs Raymond Blanc, Tom Aikens and Jamie Oliver. As Head Gardener at Soho Farmhouse, Anna created the vegetable, fruit and herb gardens from scratch. She also designed the first vegetable garden at Kew Gardens in recent times. She studied Ecological Horticulture at the University of California, Santa Cruz, going on to set up a sustainable gardening programme at the Huntington Botanical Gardens in Los Angeles. Anna won ‘Gold’ and ‘Best in Show’ for her ‘Herbs for Preserves’ garden at this year’s Hampton Court Flower Show and shares her passion for herbs and organic growing through classes, collaborations and social media. 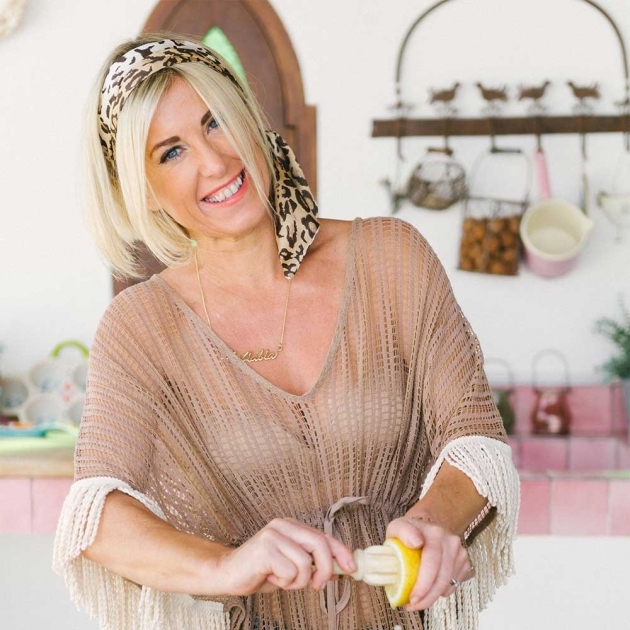 After 15 years of experience in the UK food industry, Tess moved to Ibiza in 2013 where spotting a gap in the market, created Love Food Ibiza; a conceptual website, YouTube channel and a creative outlet for her acclaimed recipe blog. Tess soon became a foodie sweetheart of Ibiza thanks to close friendships with artisans, fellow chefs, farmers and wine merchants. As a private chef her client base has included famous folk from the worlds of music, fashion and television. She is also Food Editor of Ushuaia’s ÏU MAG magazine. 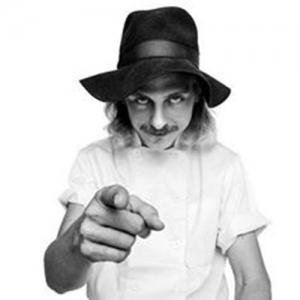 Justin has been a chef for over 10 years specialising in sustainable food over the past 4 years. 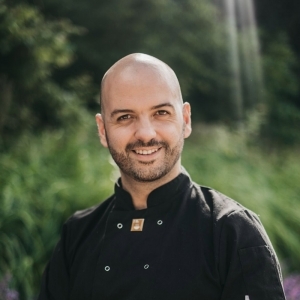 He launched Tiny Leaf a zero waste organic vegetarian pop-up in London’s Notting Hill in 2015. 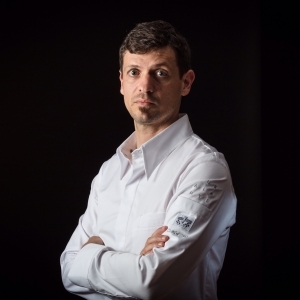 Now launching Staiva a circular economy, vertical farm restaurant in London’s Kings Cross in 2019, Justin sits on Ellen Macathur Foundation Committee for Food and Circular Economy Cities, is also on board of WFP SDG2 Advocacy Hub and co-author of Chefs Manifesto designed for Chefs working towards the Global Goals. Jordi Salewski is a geographer and beekeeper. He is a project manager and environmental consultant. His passion for beekeeping came from his father, and they currently work together to support the island’s native bee and help promote its reproduction. With their honey they have won several awards in Ibiza and across the Balearic islands. They collaborate with organic farmers and owners of farms/ rural properties to install hives and improve biodiversity and the environment. 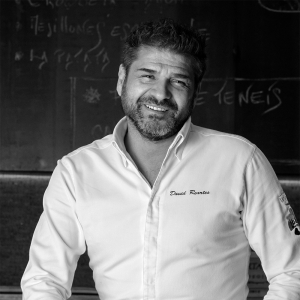 David Reartes, catalán afincado en la isla desde hace veinte años, es chef y co-propietario del restaurante Re.art y ocupa el cargo de la Dirección Gastronómica en Grupo Mambo. Forma parte de la marca Sabors d’Eivissa, que tiene como principal objetivo dar a conocer y poner en valor los productos autóctonos, especialmente aquellos que han estado en peligro de desaparecer siendo a su vez imagen de la campaña “Quiere a Ibiza” una iniciativa del Consell d’Eivissa para fomentar la sostenibilidad y responsabilidad hacia la isla. Su cocina se mantiene en la línea de la filosofía “slow food”, una cocina dinámica y fresca que apuesta por el producto local como pauta prioritaria, hecho que asegura la calidad de la materia prima que emplea a la hora de elaborar sus platos. Fina Prats Cruz, I’m from Ibiza and have a deep love for the island and its nature. I studied Enviromental sciences at the University of Girona for my degree. I worked for several years in environmental education, and for the last 5 years I have been involved in two projects. Can Fontet, “finca ecològica”, where we grow all types of fruit and vegetables and raise local breeds of sheep, pigs and chicken. Ses Cabretes, producing traditional style goat’s cheese, from our own local breed of goats. Anne Sijmonsbergen moved to Ibiza ten years ago and into a 450 year old farmhouse, Can Riero, which now supplies the only local organic produce on the island to top restaurants and private chefs. Originally from America, Anne trained at the Cambridge School of Culinary Arts, Massachusetts and writes about the relationship between food, place and culture. Since taking over Can Riero 10 years ago, the farm has gone from near fallow to producing dozens of varieties of fruits and vegetables, including over 40 types of heirloom tomatoes. Anne has dedicated herself to studying Eivissa’s food culture, meeting cheese-makers, bakers, bee-keepers, fishermen, herders and the fellow farmers who are leading Ibiza’s burgeoning sustainable food movement. Maribel Juan, natural de Ibiza. El abandono de las tierras cultivadas de la isla hizo que hace 10 años me involucrase en el aprendizaje de la agricultura ecológica y la permacultura, asi como en la organización de eventos medio ambientales. Actualmente combino mi trabajo de diseno con la finca ecológica Can Fontet, que forma parte de la Cooperativa Eco Feixes. Miembro de la Asociación de Agricultura Ecologica de Ibiza y Formentera (APAEEF) y active en la recuperación de las variedades tradicionales y razas autoctonas de la isla. Adam Colyer founded the charity music festival Djs Contra la Fam (Djs Against Hunger) in Barcelona helping raise funds for soup kitchens for the homeless in Barcelona through cultural action. He has created and produced memorable events and films for many brands with his agency, Giant Cookie. He is currently creating and producing a documentary series called The Remixers where chefs discover and re-interpret food traditions and local produce from around the world. Also currently producing another documentary series called Naked Wines, which aims to show the rise in popularity of natural wines. 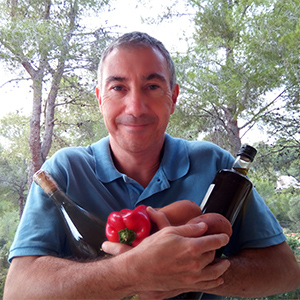 Passionate about food and with close ties to Ibiza from an early age, believes in the importance of promotion and communication to transform attitudes towards food. Lleva instalado en Ibiza desde el 2005 donde ejerce de chef en el hotel de pacha. Se ha formado en grandes cocinas como la del Bulli, Mugaritz y Celler de can roca entre otras. Iñigo Rodríguez es un gran defensor del producto ibicenco, con el que elabora grandes recetas. 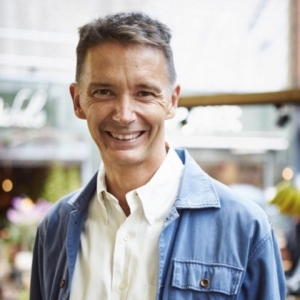 Christer Söderberg is a social entrepreneur with business experience from six countries on four continents. 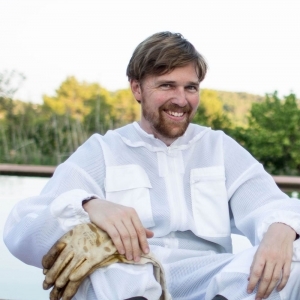 Christer is co-founder and custodian of Circle Carbon S.L., a biochar-based social enterprise on Mallorca to regenerate soils, sequester carbon, and promote a circular economy. Having planted his first 6000 trees on an organic coffee farm in Brazil in 2009, and initiated several social-environmental projects in Sweden, Brazil, and now in Spain, Christer brings his experience and passion for the earth and its communities to this project to develop a working model that regenerates the soil and restores the air we breathe on our fragile and most beautiful planet. 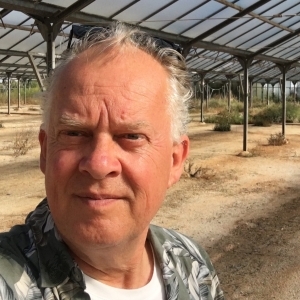 To promote dialogue and engage in local initiatives Christer recently founded “Asociación EnConCiencia” after having organised more than 30 community-based film- and radio events under the initiatives “CineConCiencia” and “RadioConCiencia” on Mallorca since 2016. Christer grew up on Mallorca and has lived intermittently on the island since 1973. Ingeniero Agrónomo. Actualmente técnico de promoción de la calidad agroalimentaria en el Consell Insular d’Eivissa. Anteriormente había desarrollado su carrera profesional en la fruticultura y la elaboración de aceites de oliva de alta gama. Trabaja en la promoción de los productos agroalimentarios de Eivissa y la creación y difusión de marcas de calidad, entre las que destacan los vinos de la IGP Eivissa/Ibiza, las hierbas ibicencas, así como la gestión de la marca SABORS D’EIVISSA en la cual se incluyen los productos emblemáticos de la isla y los prioritarios en la promoción: sobrasada, flaó, patata roja, sandía, cordero, miel, mariscos y pescados, a los que este año se han incorporado las variedades tradicionales de huerta. La estrategia se fundamenta en establecer complicidades con la gastronomía y así reconectar la restauración con los ingredientes originales y, a través de su proyección, conseguir que repercuta en el sector primario. La implicación con los sectores profesionales ha permitido crear las marcas sectoriales oli d’e y las marcas de la almendra y la algarroba de Eivissa. Un segundo objetivo es la creación de ferias gastronómicas para proyectar productos y productores. Gracias a la colaboración con asociaciones profesionales y otras administraciones se ha conseguido iniciar la feria de la Sal, la feria de la langosta y el pescado de Eivissa, la fiesta de la almendra, el foro profesional de productores d’Eivissa y la Feria Sabors del Camp i de la Mar d’Eivissa.